What is Exome+, and why did Helix create it? A common misconception about genetic testing is that the underlying method is always the same. Your DNA is your DNA, right? Isn’t there only one way to “sequence” it? It turns out there are actually a number of different methods that can be used to determine your genomic sequence, including targeted panels, microarrays, whole exome sequencing, and whole genome sequencing. Some are relatively old, while others have only come into their own in the last few years. Each of these methods offers you a different amount of information about your DNA. What’s more, the usefulness, quality, and actionability of this information can vary widely between these different methods. Let’s start with the simplest and most specific method: targeted panels, which usually look at just a few thousand of your genome’s roughly 3 billion base pairs. This type of test is usually accomplished using Sanger sequencing and is designed to reveal a single piece of information about you—like whether variants in your BRCA genes predispose you to certain cancers. By narrowing the test’s focus on just a tiny fraction of the genome, targeted panels can be relatively low in cost. But the disadvantages are obvious; today, you might want to get checked for a particular genetic condition. If in a day, a month, or a year from now, you want to learn something new about your DNA, you need to have another sample collected, and the cycle begins anew for each additional test. Additionally, researchers are finding that many of our traits—called polygenic traits—are the result of multiple interacting genes. As we learn about these interactions, analytical methods can be used to more accurately determine a person’s risk of developing various diseases (like breast cancer) by integrating information from thousands of genes. In this respect, targeted panels may be limited because they only look at variants we currently know to be important, not necessarily other variants that are part of polygenic scores developed in the future. On the opposite end of the spectrum is whole genome sequencing (WGS). However, the “whole” in WGS is somewhat misleading, because you can’t currently get information about every base in your DNA. For example, the repetitive areas of your DNA—areas where the sequence of base pairs is identical to other areas of your genome—are ignored, because we cannot figure out their unique locations in your genome relative to the reference genome. These repetitive regions can be used in a variety of different ways, including identifying some carrier health risks. WGS is also extremely expensive: a high-quality WGS test can run into the thousands of dollars, without an obvious use for the overwhelming majority of the DNA information you get in return. And as WGS methods improve, you could find yourself paying for another WGS test in the years to come. Think of it this way: WGS is a bit like trying to read a recipe book that’s buried inside a 3-billion-letter crossword puzzle. Fortunately, we now have a great understanding of where the “recipes” are—the portions of the genome that are used to create proteins—so the logical next step is to just sequence these portions. In simplified terms, these protein coding “recipes” make up 2% of our DNA and have the most direct effect on phenotype. Collectively, these regions are known as the exome, and getting it sequenced is called whole exome sequencing (WES). WES has the advantage of sequencing all of your DNA that is most likely to influence an observable trait. WES is not as expensive as WGS, but can still be quite costly. You can reduce the cost further if you only focus on areas where there are common DNA differences in the population, which is where microarrays come into play. This is an older technology that often only looks at approximately 650,000 sites in the genome. To look at these sites, microarrays rely on a different method of DNA analysis called DNA hybridization (sometimes called genotyping). Unlike sequencing, DNA hybridization cannot perform an indiscriminate analysis of the genome, but rather identifies whether a specific sequence of DNA is (or is not) present. Microarray testing is very common; if you’ve done an at-home genetic test in the past, there’s a good chance it was done using a microarray. Historically, the big advantage of microarray testing has been that it delivers an acceptable amount of data for some types of genetic tests at a relatively low cost. But the model of only looking where we expect to see a difference has disadvantages. It’s very likely that there are important differences elsewhere in your genome that aren’t covered by a microarrays. Because of this, some individuals will start out getting a microarray, only to get WES later because a more complete test requires it. This is where Exome+ comes in. Helix has developed an assay that delivers the best of all worlds: an extraordinarily detailed view into your exome, with an extremely high level of accuracy, at a remarkable price. Exome+ offers not just the whole exome (which is where information about diseases is most likely to be found), but also hundreds of thousands of other areas of interest in your genome—areas that can lead to incredible insights, today and in the future. It also delivers the mitochondrial DNA sequence, which is of particular interest for ancestry testing and some diseases. Furthermore, we sequence the exome at a clinical grade—a level of quality and accuracy that is appropriate for clinical use. 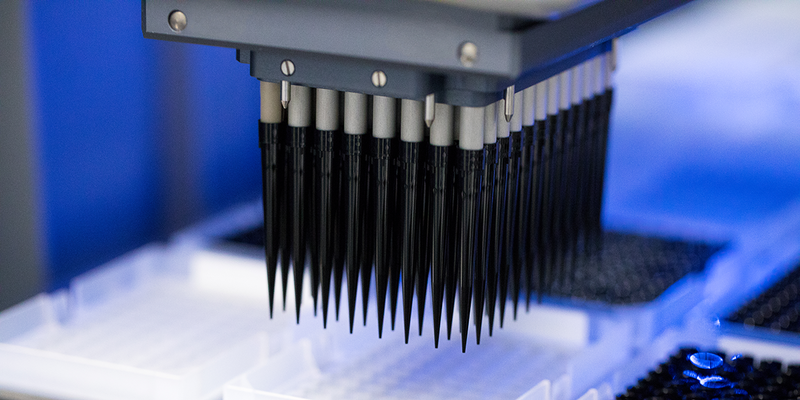 This assay is more robust than either microarray testing or WES alone, and it’s designed to be leveraged by a broad array of products that offer DNA-based insights, from health to ancestry to family planning and beyond. We don’t want you to have to submit another sample for new DNA products coming out in the months and years to come, and we’ve specifically designed Exome+ to meet that requirement. Furthermore, Exome+ is designed to accelerate the pace of innovation in health and quicken the rate at which researchers are able to learn about the human genome. For example, our recent collaboration with the Healthy Nevada Project will yield clinical-grade exomes that researchers can combine with environmental data, lifestyle information, and health records to find new relationships between health and our DNA. The takeaway is that, put simply, not all DNA tests are created equal—they span the full range depending on the type of insight you’re getting and the company or institution you’re getting it from. Helix has put significant thought and resources into designing a robust, accurate, and comprehensive assay that is designed to meet the needs of our customers today, tomorrow, and beyond.